And other Tax Season jokes to get you through it. Actually, as of today (January 19th), Tax Season is here–one day earlier than last year. On top that, there’s no tiered opening season, which means that all taxpayers (did you catch that? ALL of them) can begin filing their taxes. Today. Right now. Seriously, people, back away from the highlighter–it makes your forms impossible to scan or copy. In fact, several thousand of them are probably already at it. Needless to say, Tax Season is a ridiculously crazy time for accountants, enrolled agents, and CPAs. When you feel yourself starting to crack. …because you haven’t slept in days. … and the words “form” and taxes” have lost all meaning. But the best feeling in the world? 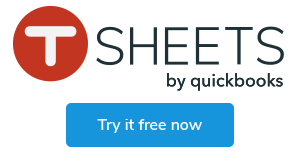 Encourage your clients to use TSheets and save yourself a huge hassle next year. In the meantime, we’ll be here to guide you through tax season and remind you that there’s still a light at the end of the tunnel. Happy Tax Season 2016! You’ll get through this. We promise.